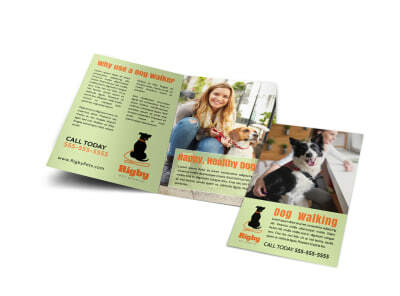 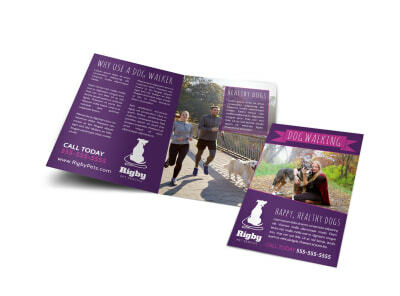 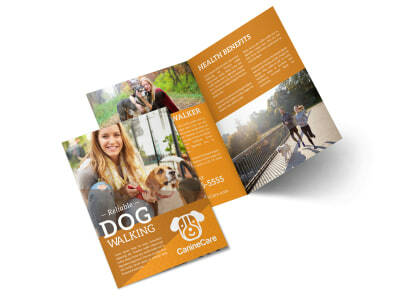 Customize our Beautiful Dog Walking Tri-Fold Brochure Template and more! 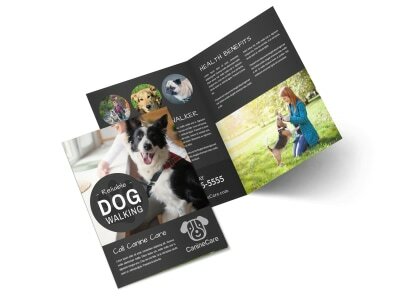 Convince fur parents to give your pooch walking services a chance with a professional design that highlights your trustworthiness and dog care experience. 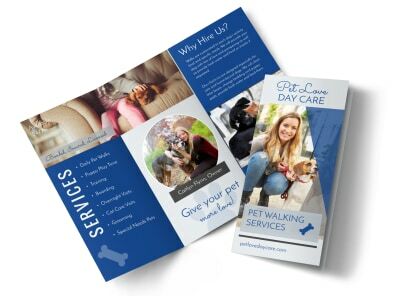 Customize its color, font, and more with just a few mouse clicks, and then print from any location. 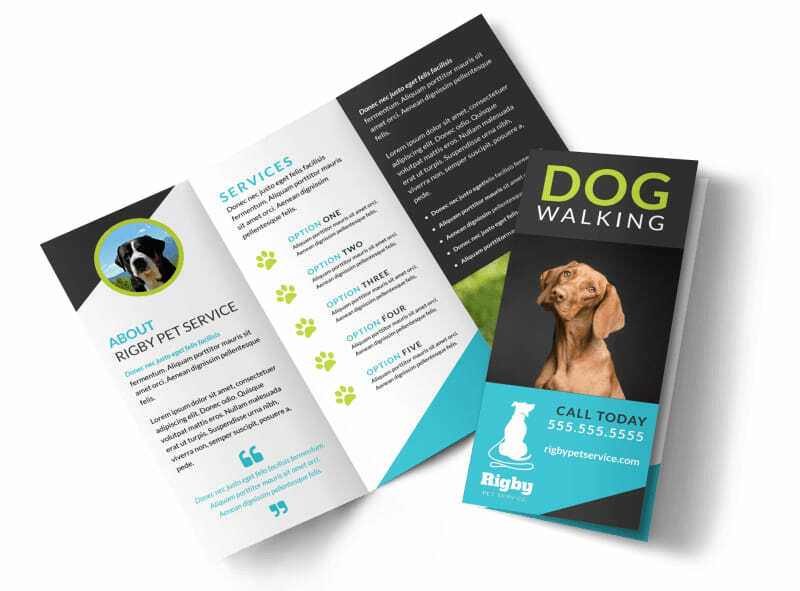 Get your design print ready in minutes; let’s get started.